Laser cutting is widely used utility in modern industrial world. Automotive, aircraft and medical experts turn to our laser cutting services in Toronto for high quality professional parts production. Why? Laser Weld Creation uses only latest laser cutting technologies, which allows us to complete projects of any scale and complexity. All our staff members are well-trained and licensed. They will be happy to answer your questions regarding laser cutting. Besides common laser cutting services, we provide custom service. We are able to cut any form from any material. Our high-power laser is able to cut through any type of material with pinpoint accuracy. When it comes to precision and quality – you come to us. 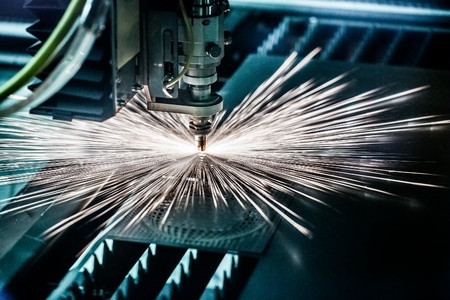 We have been working in laser cutting industry for many years, we have variety of diverse accomplished projects, and we pride ourselves in delivering high quality and excellent customer service. Laser Weld Creation utilizes only most advanced technology, that allows us to work with all types of materials. Laser cutting is quick, clean and safe solution for your needs. It is also cost effective, as the risk of splintering or damaging material is close to none. Our professional experts are well trained and will be able to finish any project in a time-efficient manner. Laser Weld Creation caters to all your Toronto based industrial and commercial laser cutting needs. Call us to learn more about our industrial cutting services.